We are looking for new members for our beach club (Angels). We are looking for players who like to do cruises and work together to advance. We are looking for new active members in “Epic Escape :-) “ come and join us. Do you all help each other, chat and work towards meeting cruise, helicopter and event goals? 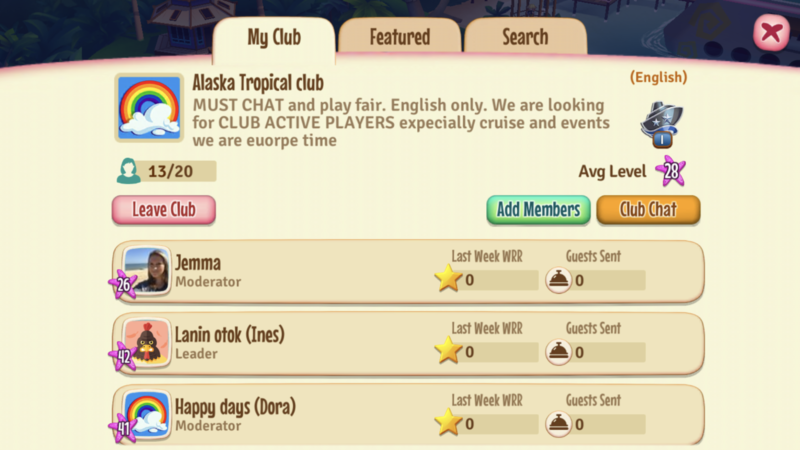 Hi we are looking for players to join our friendly beach club, we all help each other out as much as possible, we are an understanding club, we require you to communicate in chat when on, and acitvte boosts during cruise and to help boost each other up on weekly..
We are looking for active members to join our club. We are a fun close group who help each other wherever possible. 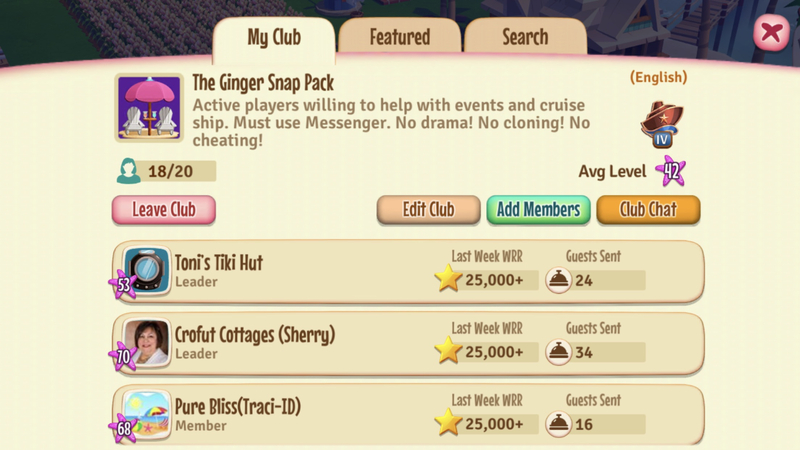 Join the Ginger Snap Pack. 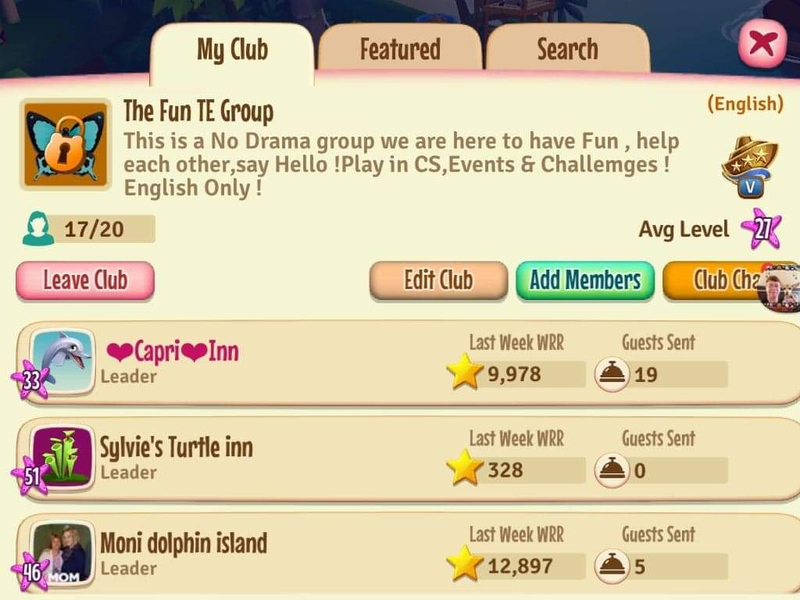 Chunky Monkey Island is looking for new members!!! Are you looking for a club that's active daily but dont want the pressure to play 24/7, then look no further!!! We are a friendly helpful team, we help with helicopters, do boosts and play cruise ( we are happy just to complete club goal, but sometimes do well against other teams). Pls come join our team!!! New player looking for an active beach club to join. Lvl 18 and climbing fast. Daily player. 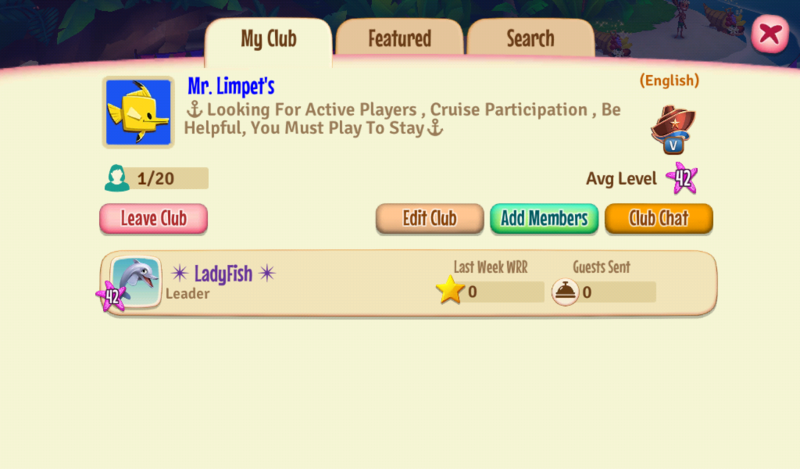 KJ's Banana Cabana has spots - level 23+, daily active but real life comes first, cruise casual (we play for the goal rewards not the Contest of Cruises). Organized, regularly scheduled end of week/weekend boost runs - pick the times that work for you to participate. Mostly U.S. east-coast based. We have a group easy-to-use Google spreadsheet where we list what boosts we have to make it easy to organize and play together. Group is set to private, so you do need to "apply to join". Fair warning, we don't talk all day but we are a solid bunch of goofballs when we get going.